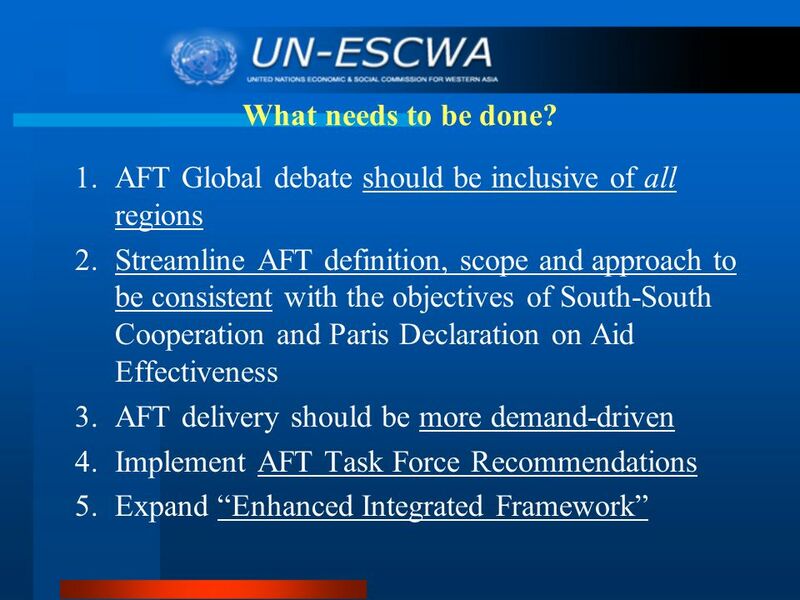 11 1.AFT Global debate should be inclusive of all regions 2.Streamline AFT definition, scope and approach to be consistent with the objectives of South-South Cooperation and Paris Declaration on Aid Effectiveness 3.AFT delivery should be more demand-driven 4.Implement AFT Task Force Recommendations 5.Expand Enhanced Integrated Framework What needs to be done? 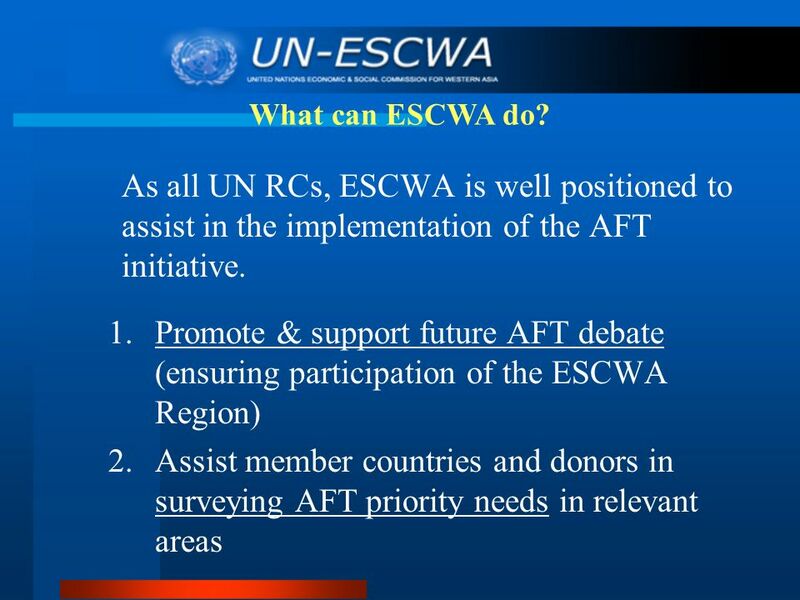 12 As all UN RCs, ESCWA is well positioned to assist in the implementation of the AFT initiative. 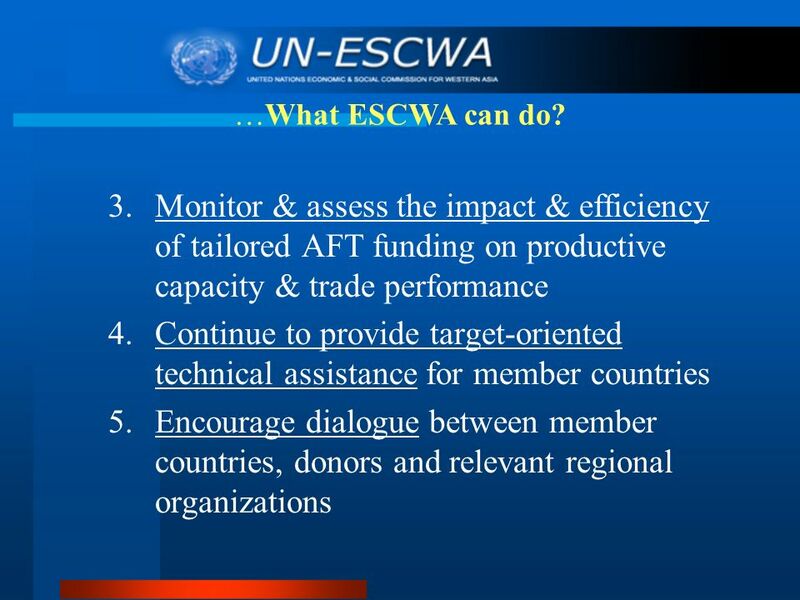 1.Promote & support future AFT debate (ensuring participation of the ESCWA Region) 2.Assist member countries and donors in surveying AFT priority needs in relevant areas What can ESCWA do? 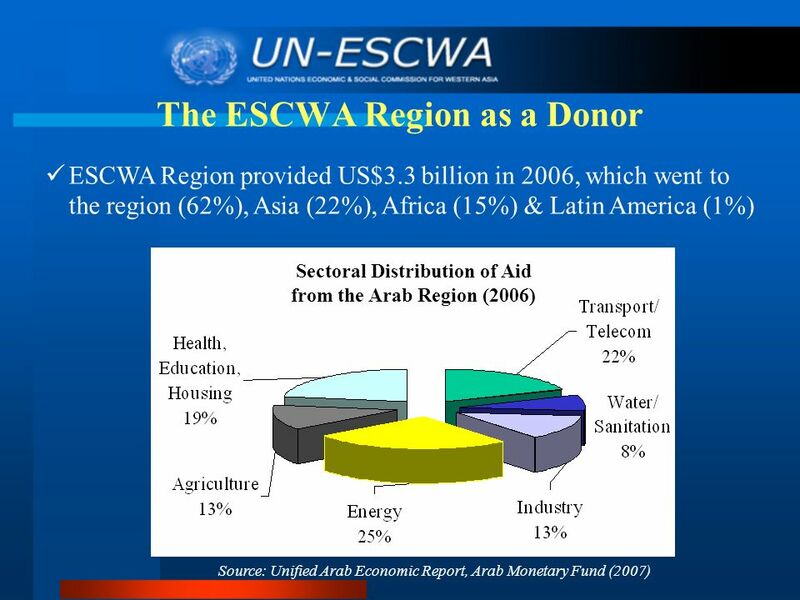 13 3.Monitor & assess the impact & efficiency of tailored AFT funding on productive capacity & trade performance 4.Continue to provide target-oriented technical assistance for member countries 5.Encourage dialogue between member countries, donors and relevant regional organizations …What ESCWA can do? 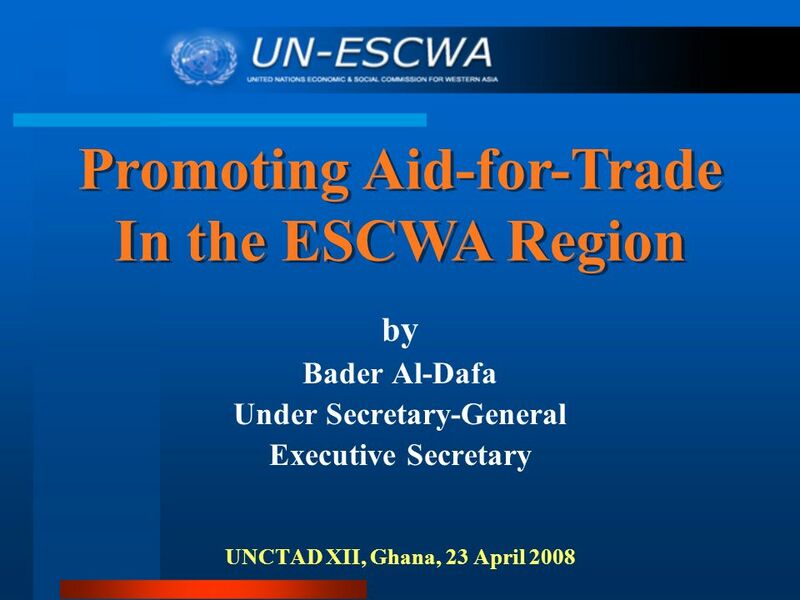 Download ppt "B y Bader Al-Dafa Under Secretary-General Executive Secretary UNCTAD XII, Ghana, 23 April 2008 Promoting Aid-for-Trade In the ESCWA Region Promoting Aid-for-Trade." 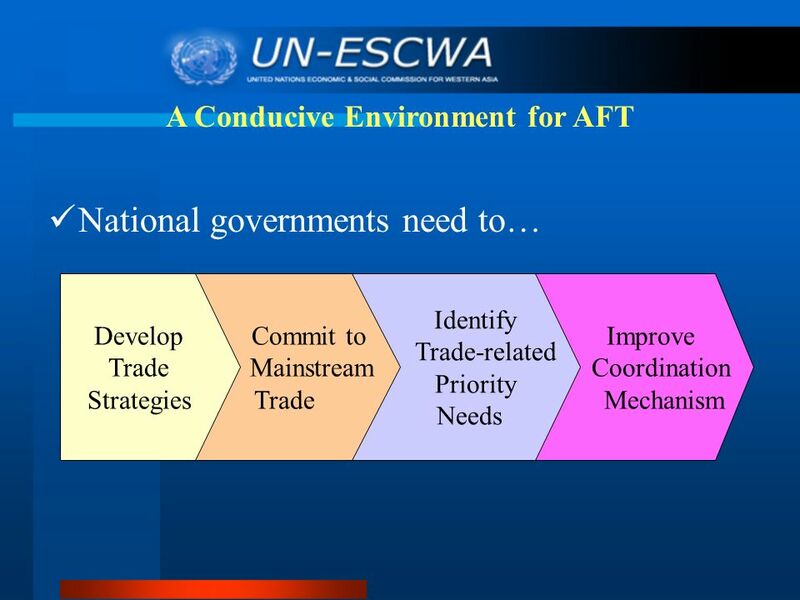 AID FOR TRADE Moving the Agenda of the Initiative Forward for Benefit of African Countries E c o n o m i c C o m m i s s i o n f o r A f r i c a Mr. Abdoulie. 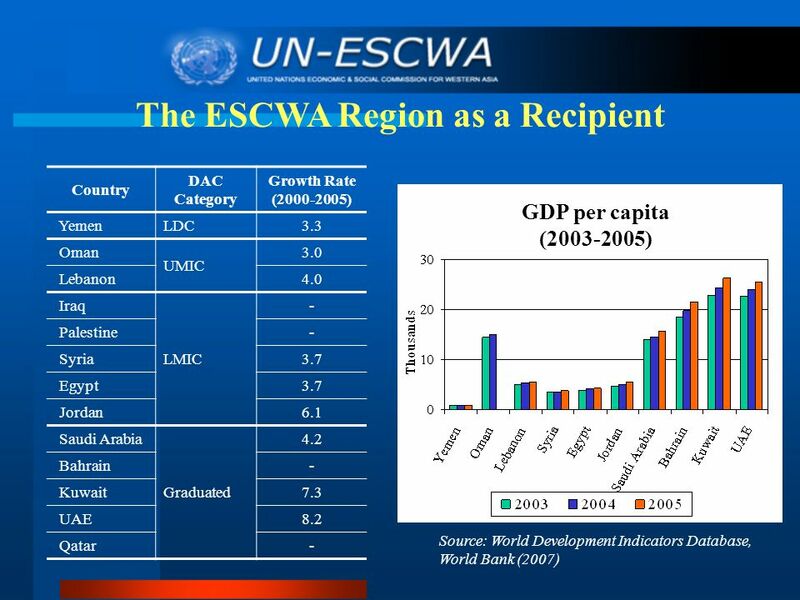 Kiichiro Fukasaku OECD Development Centre Thailand-OECD Seminar on Aid for Trade: Meeting New Challenges, Bangkok, 24 September 2007 ASEAN Economic Integration. UNDP Regional Bureau for Africa MDG-based national Development Planning Training Workshop HIV/AIDS Assessments Dar Es Salaam February 27 - March 3, 2006. 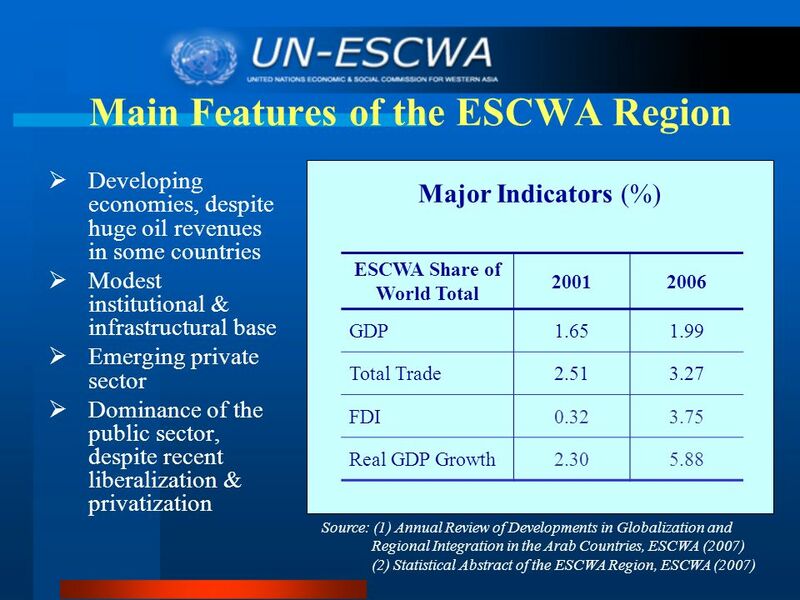 Re-shaping the Role of Bretton Woods Institutions New Progress, New Trends, New Challenges, and New Directions By ZOU Jiayi World Bank Executive Director. 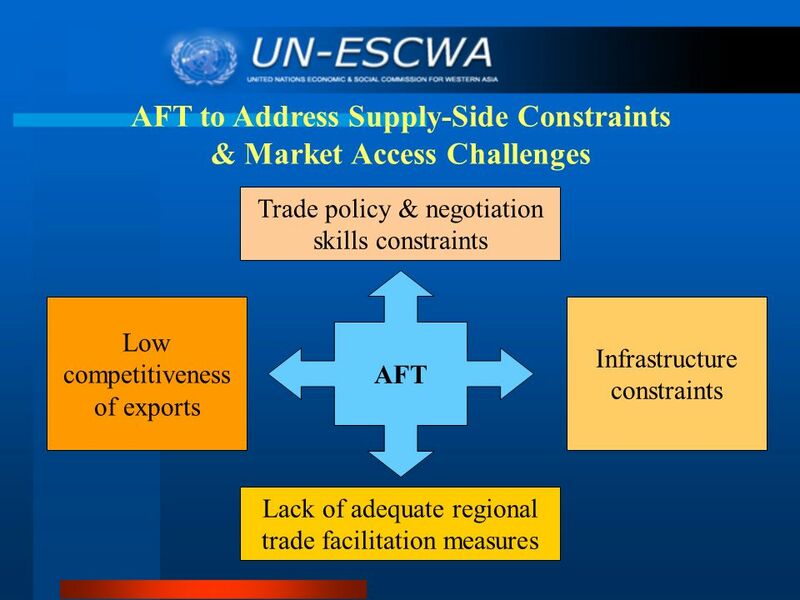 The African Development Banks Contribution to Aid for Trade (AfT) Kennedy Mbekeani NEPAD, Regional Integration and Trade Department 3 rd Meeting of Trade. 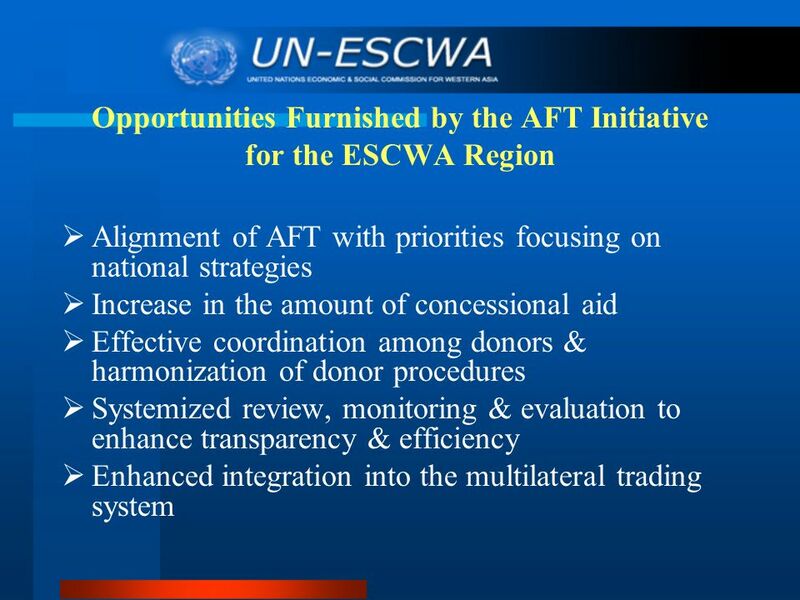 The Africa Action Plan An IEG Evaluation CSO Forum April 15, 2011. 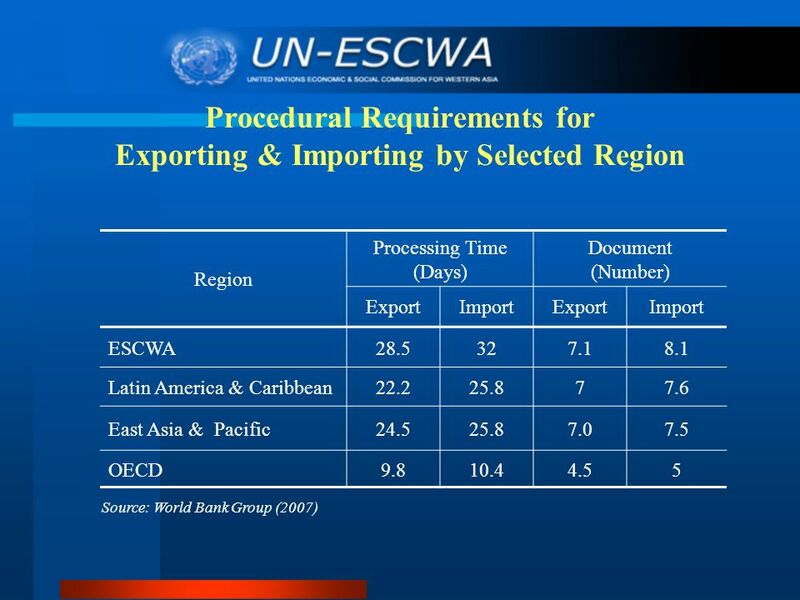 PRESENTATION AT THE WORKSHOP ON LDC PRIORITY NEEDS FOR TECHNICAL AND FINANCIAL COOPERATION 29 OCTOBER 2009 GENEVA Sari Laaksonen Coordinator, Integrated. 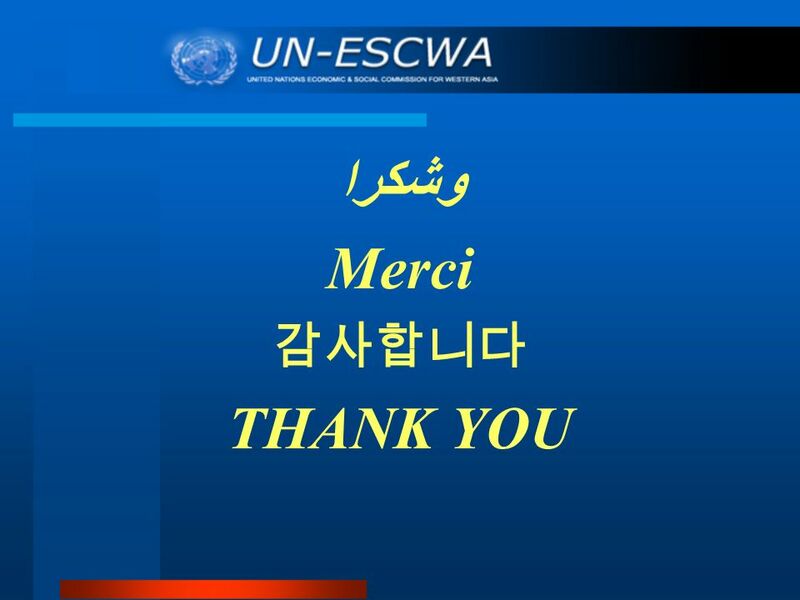 Good Practice in SPS-related Technical Cooperation Greater Mekong Sub-region: Cambodia, Lao PDR and Viet Nam Kees van der Meer Laura L. Ignacio Presentation. 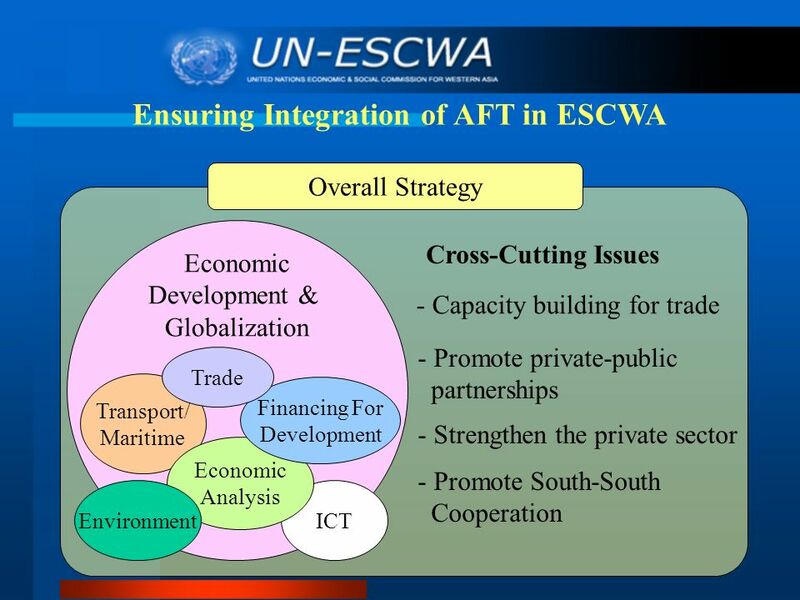 Cross-cutting Aid-for- Trade Issues Regional Planning Mechanisms & Financial Instruments. 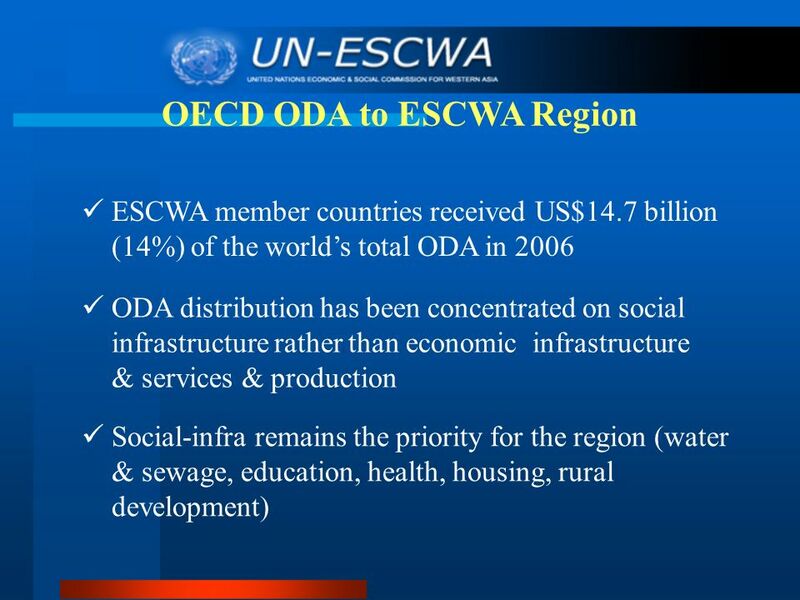 1 Transnational Corporations and the Infrastructure Challenge in Africa Session 37 Achieving the Millennium Development Goals in Africa: Should Service. 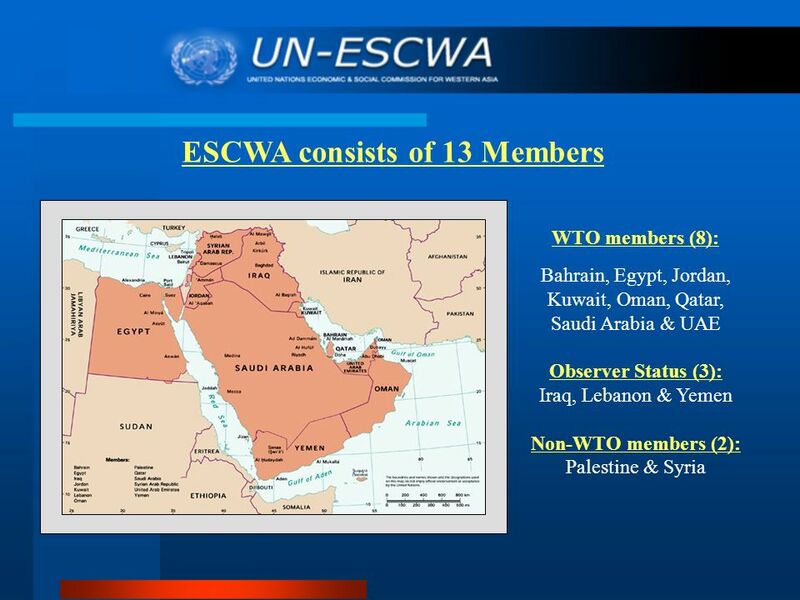 Istanbul October 2010: EastAgri Annual Meeting – RT4 – Investing across borders: The way forward for agriculture and rural development in the Balkan.